The commercially sold sauna wood stove, also called a wood sauna heater is a result of the Industrial Revolution, as it evolved its way into an enclosed metal wood stove with heating rocks. Its roots are mostly in Finland. The saunas from Finland, called savusaunas, were heated with a pile of extremely hot rocks made by burning wood for long periods in the fireplace or other heating area. Water was thrown on the hot rocks to give off steam and add to the heat value experience. To help you better understand sauna stoves and their use today, it might help to share some history facts regarding the sauna as we know it. Almost every residence in Finland has a built in sauna as part of the home. In the very beginning they were dug into slopes in the ground and used for places to live and keep warm. Following this example you can see how the sauna stove would not always be for sauna use as we know it, but also as a method of heating small cabins and other dwellings. During the Middle Ages saunas were widely used throughout Europe. Korea also had a hand in the development of sauna wood stoves. They had domes structured like a kiln from stone and were called Hanjeungmaks. These were mainly used for their healing properties and health benefits. Together the concepts merged and out came the modern day sauna. There are several models of quality sauna wood stoves available on the market. Using the right kind of stones for your sauna is just as important as using the right kind of wood for the fire that heats your stones. Much discussion has been assimilated regarding the best wood to use in your wood stove. We know that softwoods, such as pine burn faster. Hardwoods such as oak burn longer and are usually recommended. Softwoods are good to get a fire going, but to hold a fire for continuous burning you should use hardwood. All wood must be “seasoned” for a good fire. Seasoned firewood is basically wood that has been dried for a season, where it's cut in the early summer or spring, and used in the Fall. 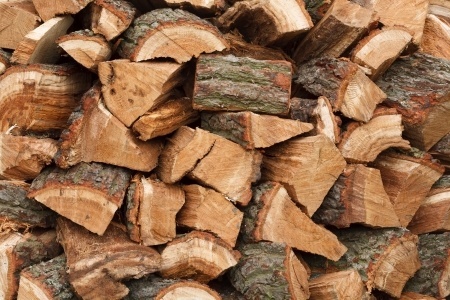 Green wood is wood cut fresh from the forest and is not recommended for your wood heating needs until it dries out, reducing the moisture content to around 20 percent or less. The stones (or rocks) for a sauna stove are not the kind of stones you go gather by the river or creek at random. Some rocks, such as granite are too heavy and some rocks are too light to retain heat sufficiently. It is recommended and much easier to buy sauna stones especially selected for your sauna wood stove. The Finnish call these stones “Konnos.” They aren't real expensive and usually last about a year. Just as you would use seasoned hardwood for maintaining your fire, you'll want to use the right stones for your wood sauna heater. Dark colored volcanic rocks with iron and magnesium are best. 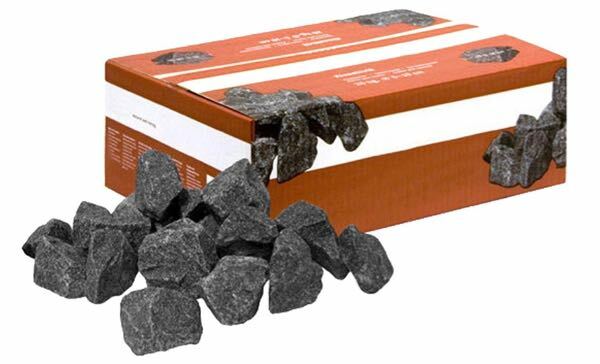 These are the best rocks for holding heat and evaporating water quickly. 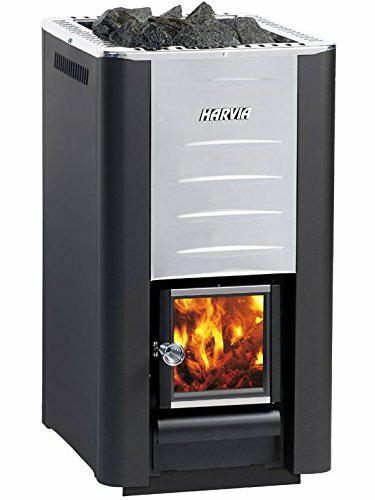 Harvia M3 Wood Burning Sauna Heater- The Harvia M3 has a stone capacity of 100 pounds, is solidly constructed and comes in a sleek graphite black with a glass door for your viewing pleasure. The air flow unit is made of good looking and durable stainless steel. 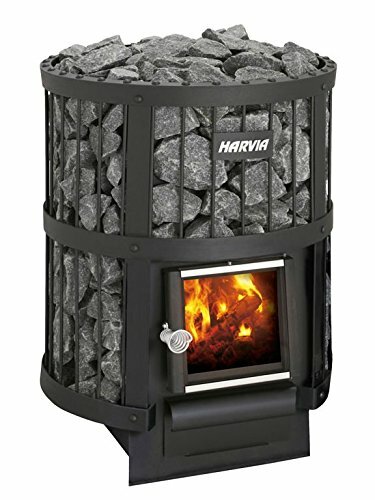 Harvia 26 Wood Burning Sauna Heater- The Harvia 26 has a stone capacity of 150 pounds. If you are using this for a sauna, this is a perfect stove for a fairly large one. The air flow spoiler is made of stainless steel. This is a good looking and efficient stove with a cast iron feeder door and a window to cast a nice glow. The Harvia 26 also comes with adjustable legs for easy, yet durable placement. Harvia Legend 150 Wood Burning Sauna Heater- The Harvia Legend is a very nice stove complementing the sauna experience with its nature look and cast iron door with a glass viewing window. The stones, held by a black frame system, cover the entire surface area of the stove up and down and all around (except for the door) creating a beautiful appearance. The glass in the door adds to its beauty and the natural heating experience. This sauna wood stove comes complete with a secondary burn unit separated by the grate, allowing for a complete and clean burn. A pipe mounted water heater can be added giving this stove a big plus for extra water for added steam and personal use. The adjustable legs are nice because you can adjust the stones to your desired height and for aesthetic purposes. Sauna wood stoves were first used for heating in Finland and gradually became a health and relaxation benefit through what is well known as a sauna. Small cabins and other areas can also benefit from the nice heat and added moisture in the air, so these are not only for saunas, as mentioned earlier. The way the steam is made with these stoves is poring water on the exceedingly hot rocks. You can use your stove with water or without water. Many old timers would set a kettle on their wood stove for the added moisture which the steam put in the air. The sauna stove acts very much on the same principle, except you have the rocks providing a larger steam area and longer heat retention. The units on which you can add a water heater (some come with a spigot for personal hot water usage) can be used in remote areas where no electric is available for heating water. 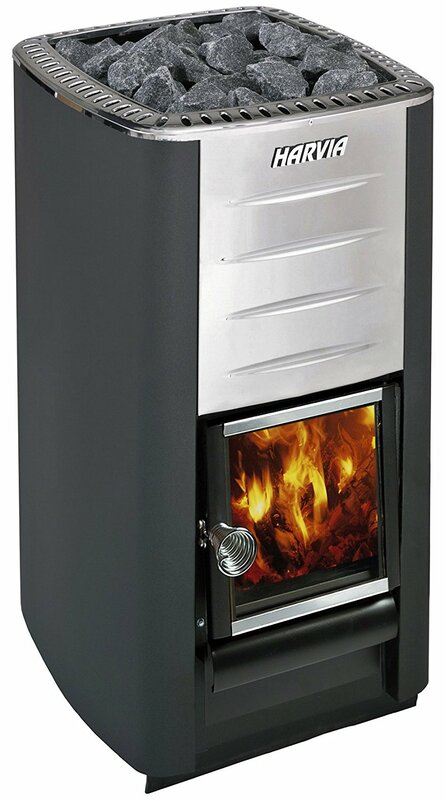 No matter which model you choose, the sauna wood stove is a joy to work with and a joy to own.